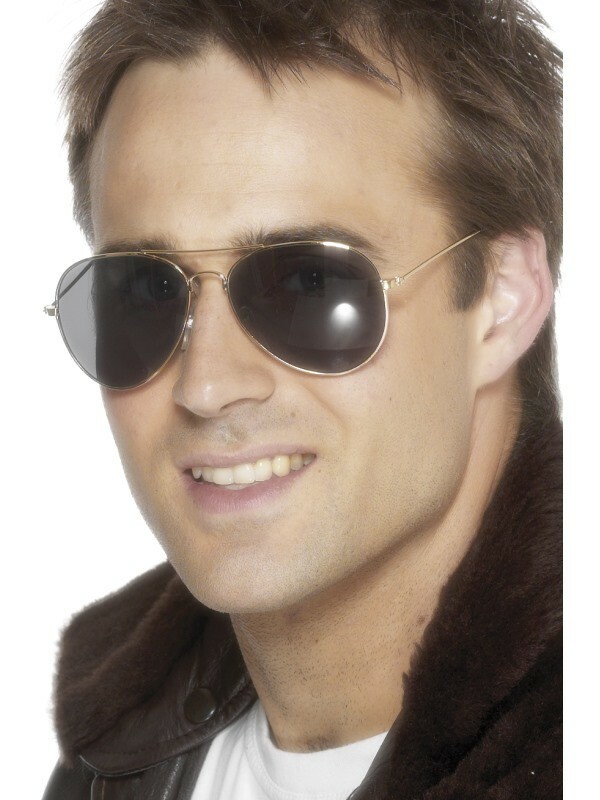 Complete your look of a Top gun fighter with our Aviator Specs. Please Note: These are a fancy dress item only and should never replace real sunglasses. Not designed for looking directly into the sun or for driving. Tower, this is ghost rider requesting a flyby". You'll look fly in these adult aviator specs with brown lenses and gold frame ...time to clear the air.